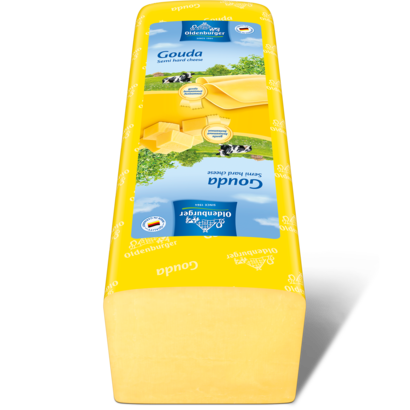 Oldenburger Gouda is a high quality, gentle tasting cheese that is mildly aromatic in flavour. In slices it is especially suitable for eating on bread. Thanks to its mild flavour it is furthermore ideally suited as a garnish on salad or as a pure and delicious snack for in between. 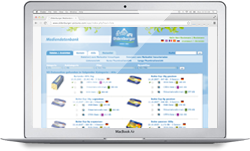 Oldenburger Gouda is available with 48% fat and in a lighter version with 30% fat. This delicious cheese is available with 48% fat as 3kg loaf, 12.5kg "wheel" and 15kg block for professional use. The 30% fat variant is available in a 3kg loaf. Enjoy a hot cheesy snack to share with a delicious combination of rice and melted cheese.